Evolis ID Card Printers are designed to create high-quality badges on the spot. WHAT ARE THE DIFFERENT MODELS OF EVOLIS ID CARD PRINTERS? 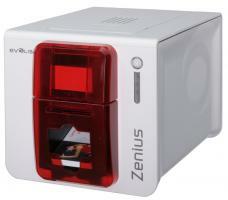 Zenius: Easy-to-use and affordable, this entry-level card printer is perfect to issue single-sided ID cards on the spot. 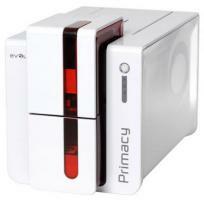 Primacy: this flexible and easy-to-upgrade card printer can be single or dual-sided. Primacy comes standard with USB and Ethernet connectivity and a 3-year warranty on printer and printhead. Quantum: built for high volume applications, this Evolis ID card printer offers unique 500-card input and output hoppers. 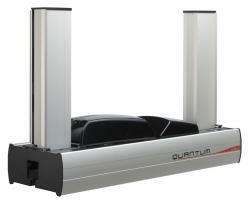 Securion: equipped with a dual-sided lamination module, Securion is designed to issue highly secure cards and badges. 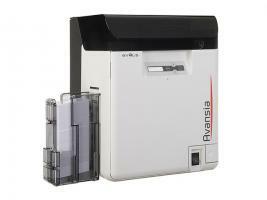 WHICH FEATURES SHOULD I CONSIDER WHEN BUYING AN EVOLIS ID CARD PRINTER? USB vs. Ethernet: Evolis ID card printers come with USB connection but if your printer will be on a network, don�t forget to select a printer with Ethernet connectivity. Basic vs. encoding options: if you need to print and encode data on magnetic or smart cards, opt for a card printer with the right encoder. 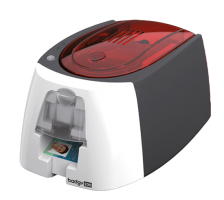 All Evolis ID card printers offer optional encoding capabilities. Low vs. high volumes: if you are looking into printing thousands of cards a year, consider the Quantum card printer for increased productivity. Note that all Evolis ID card printers come with Mac and Linux drivers, which is unique on the market. WHICH TYPE OF CARDS CAN I PRINT WITH EVOLIS ID CARD PRINTERS? ID cards: print high-qualityID cards for your employees, students or visitors and identify at a glance every person who belongs in your facility. Time & attendance badges: your Evolis ID card printer allows you to track your employees, visitors or students and even print a schedule on the back of your cards with a dual-sided model.